Temperatures will not be as hot this afternoon, but fire danger is staying elevated today. We have a mix of good and bad news on the way in your Monday forecast. The good news is that conditions are improving across the region today, but the bad news is that fire danger is staying elevated for the start of your work week. Mostly clear skies, and dry weather are on tap for the start of your Monday. Temperatures are starting out in the mid 60's for the majority of the valley this morning, and in the 40's to 50's in most mountain areas. Winds are starting out out of the Southeast to 10mph this morning, but will likely be up to 15mph out of the South this afternoon. South winds will help to keep high temperatures a bit more in check for today, but high temperatures will still be above average this afternoon. Humidity is starting out above 60 percent this morning, but could dip to as low as 15 percent this afternoon. High temperatures are projected to end up in the mid 90's in the valley later today, and in the mid 80's in the mountains. Not much will change over the next few days. Tuesday looks like it will be very similar to today. Temperatures, winds, and humidity will all end up in the same range on Tuesday afternoon. 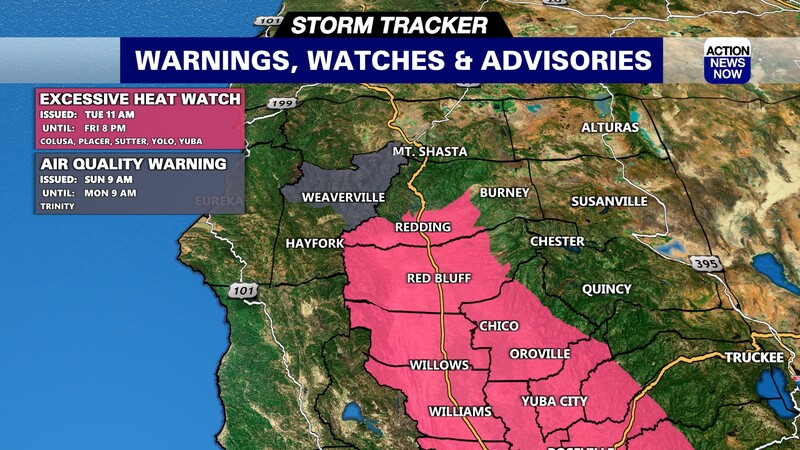 Fire danger will stay in the high range on Tuesday. Some very modest cooling will then settle into out region for Wednesday and Thursday of this week. Temperatures in the valley will mostly end up in the low to mid 90's on Wednesday and Thursday afternoons. 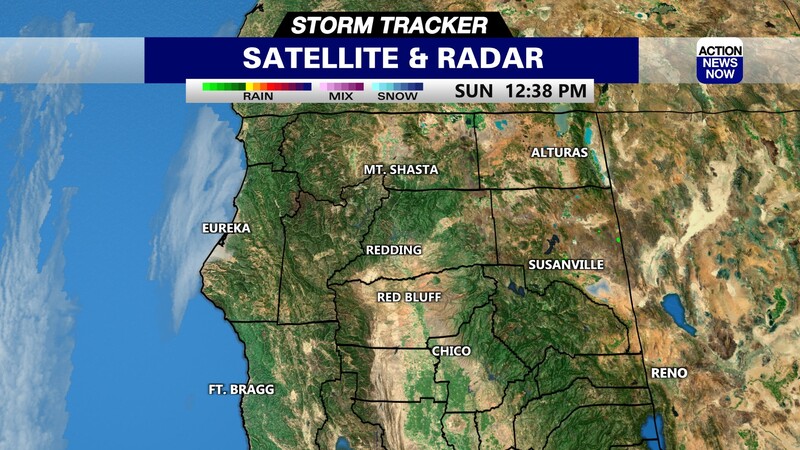 Skies will stay sunny to mostly sunny, and dry weather will dominate the region this week. Temperatures will begin to heat up again as high pressure ramps up across the West Coast late this week. 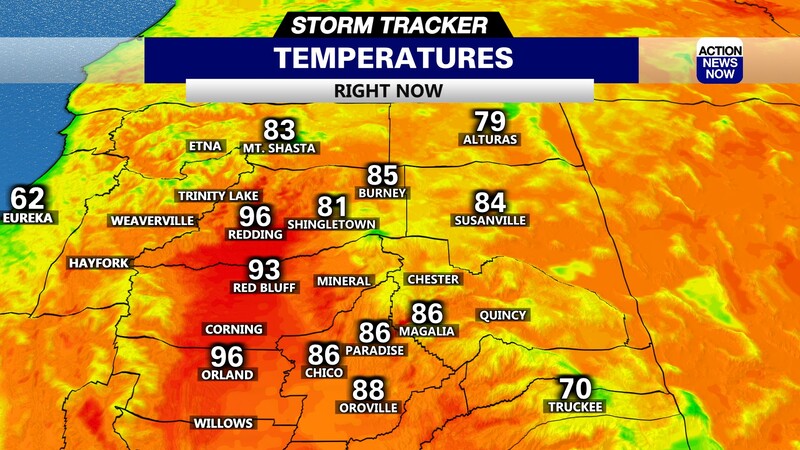 That will leave valley areas back into the high 90's to low triple digits on Friday afternoon. Severe heat is projected to settle back into Northern California this weekend. Valley areas are projected to climb back into the triple digits for all of the valley on Saturday and Sunday. Sunday will likely be a degree or two hotter than Saturday. Temperatures are currently projected to end up in the 100 to 106 degree range in the valley this weekend, while mountain areas will end up in the low to mid 90's.